What is the Best Progressive Reloading Press and Its Advantages? The main advantage of a progressive press is that you can produce a lot of ammunition in a short amount of time. 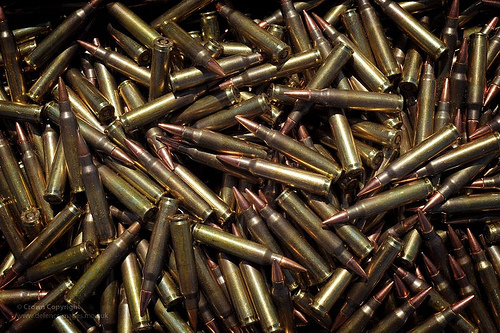 Experienced reloaders report creating over 500 rounds in an hour, sometimes even more. If you are upgrading to a progressive from a single stage press, it is easy to learn the ropes and start making higher quality bullets soon. If you do a lot of shooting with two or three guns and need to build several hundred or even thousand quality bullets a week, a progressive press is really the only way to go. Whether you’re going to go against the grain and are looking for the best first-timer’s progressive press or are upgrading to a press that best fits your needs, we recommend Hornady Lock N Load Auto-Progressive Reloading Press. 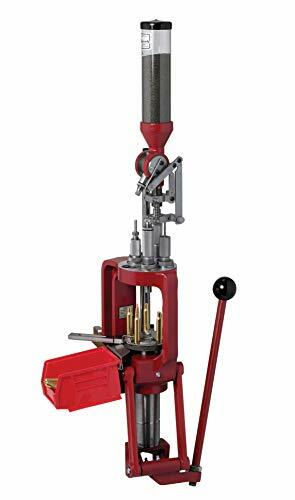 Fast, reliable, and fairly easy to learn – whether you need to change the size of the bullet you’re making or need to crank out a couple hundred bullets, everything about this progressive reloading press is efficient and won’t break on you unless you’re using it wrong. The EZject system consistently ejects cartridges off the main press, and it’s quick and easy to change metering inserts. The Lock N Load is one of the progressive presses that doesn’t need much maintenance. Just be sure to keep it clean and to keep the parts moving smoothly, and you should have accurate bullets popping out each time you pull the lever. However, you should know that once you’ve bought this progressive press, you will still need shell plates. Hornady offers different shell plates for different calibers, and you will need a plate to start reloading. The press does not come with dies either, but these are small complaints for an otherwise superior product. Now, if that sounds good, you already know which is the best progressive press to get. However, if you’re still unsure and wondering about single-stage or turret presses, head on over to our homepage with its detailed explanations.